All news related to martial arts, kickboxing, boxing, mma, brazilaian jiu jitsu (BJJ), mauy thai, k-1 , and grappling from members that attend Greubel's MMA. Martial Arts instruction for residents of Augusta, North Augusta, Martinez, and Evans. Stars and Stripes Tournament wins event of the year! W.A.K.O. National Kickboxing held at Miller Theater in Augusta, GA wins 2018 event of the year by FIGHTBOOK MMA Awards! Must be one of the first 30 to sign up!! I want to be one of the first 30 to get 2 memberships for 1 and tons of free gear now! I want to be one of the first 30 to get 2 memberships for 1 and get tons of free gear! FIRST 30 PEOPLE THAT SIGN UP FOR GROVETOWN LOCATION WILL GET ACCESS TO THE AUGUSTA LOCATION FOR FREE! FREE GEAR! FREE PERSONAL LESSON! FREE ACCESS TO 2ND LOCATION! LIMITED TO FIRST 30 MEMBERS THAT JOIN NOW!!! 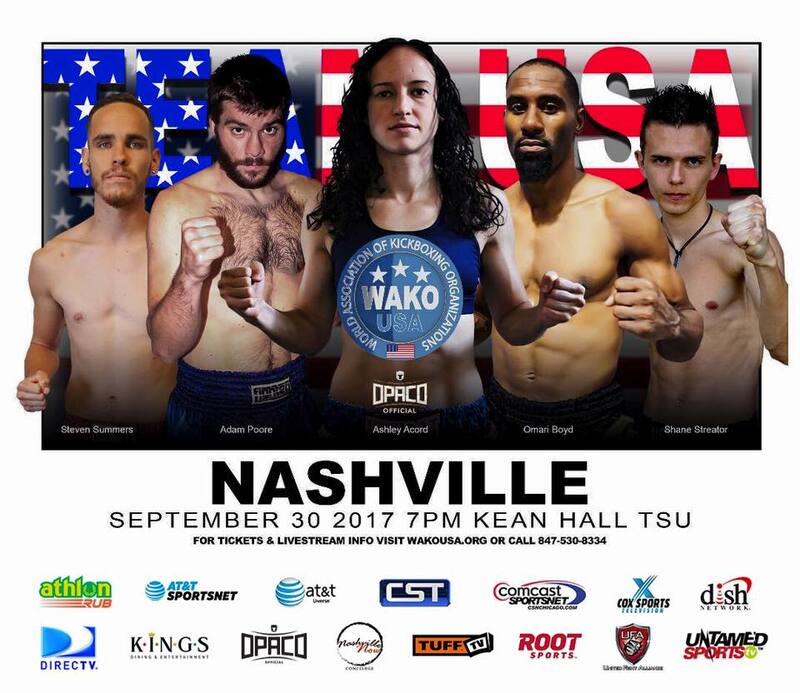 Former UFC Champ, Randy "The Natural" Couture, Gives a HUGE shout out and congratulations to WAKO and the sport of kickboxing! Augustan’s John Sterling, Jeremy Tindell, Ray Webber, Mark Greubel, Sean Murphy, and Chris Rodriguez helped in the launch of the MVP Atlanta branch. Randy Couture, Brian Stan, Nate Boyer, Manu Ntoh, “Diamond” Dallas Page, many more in attendance! 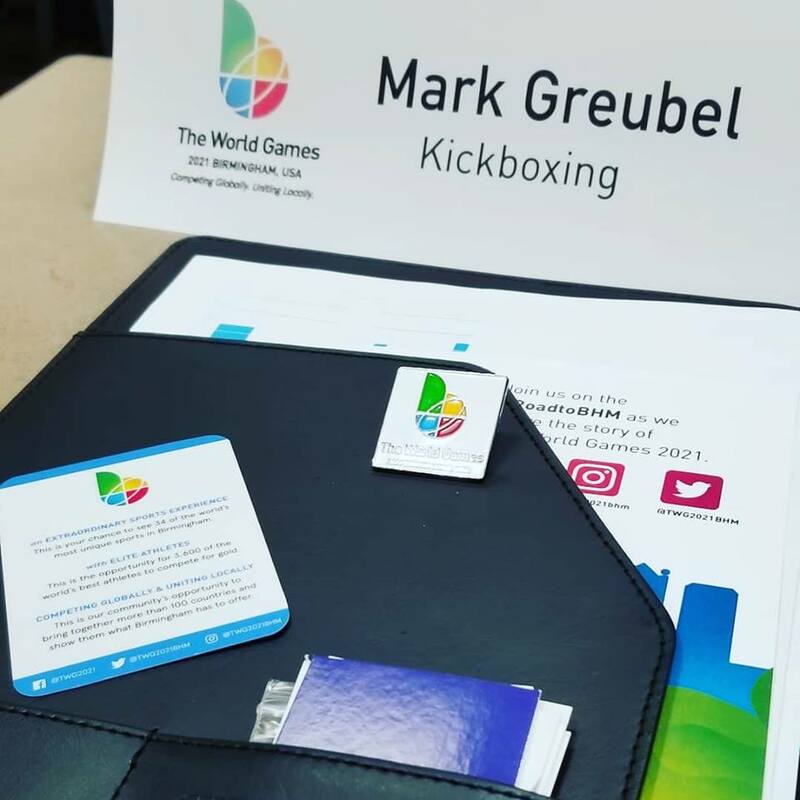 Head coach of Team USA Kickboxing, Mark Greubel, attends the managers meeting in Birmingham, Alabama in preparation of the 2021 World Games!! Greubel’s MMA brings home 7 Golds and 2 Silver medals from the 2018 W.A.K.O. Stars and Stripes tournament in Augusta, Georgia! Stars and Stripes National Tournament! The WAKO Stars and Stripes National tournament will be held on August 25th at the historic Miller Theater, in beautiful downtown Augusta, GA! Augusta's Broad street is the heart of the entertainment district and a short stroll to the Savannah River. It will feature 3 divisions for different experience levels. 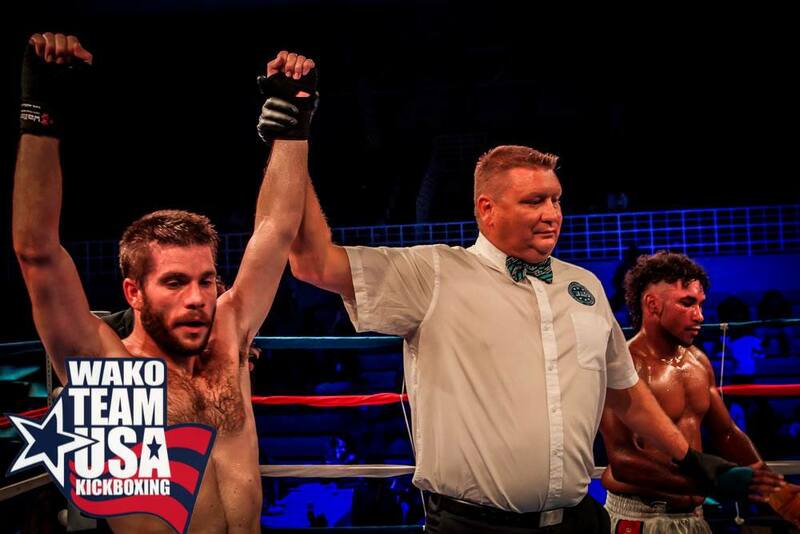 The winners will be considered to be on the WAKO USA team that will represent America in the Pan Ams. Tickets On Sale July 27! Mark Greubel, Phili Maldonato, and Jonathon Balgame to give instruction at WAKO Team USA Training Seminar! Recently Mark Greubel and Brandon "BIG BEAR" Spencer were able to give our future leaders some sound advice and teach some valuable life lessons at First Baptist Church of Augusta! NFL Superstar, Dekota Watson, training with the MVP crew at Greubel's MMA! Met and trained at Heavy Weight World Champion's gym in Tuscaloosa, Alabama. Rocha Wins Gold At Pan IBJJF Championship! Greubel's MMA representing at IBJJF Pan Ams! Adam Poore wins PRO Debut! Congratulations Adam Poore on an outstanding performance in your PRO kickboxing debut! Greubel's MMA has partnered with the Recing Crew to give people with Autism a chance to experience martial arts in a fun, safe, and engaging environment. Call 803-426-1284 or visit www.therecingcrew.com to learn more about how the Recing Crew helps people with Autism enjoy activities in the CSRA. A couple of medals for the Greubel's BJJ team recent IBJJF tournament in Atlanta, GA! Congratulations Sidney and Ale on the medals at the Charlotte Open IBJJF tournament! Awesome performances by Tyler and Cedric! Adam Poore, Chris Richardson, and Jamon Cooke on outstanding performances in Nationally televised TEAM USA vs CANADA event in Nashville, TN! GMMA Performs at Atlanta Open! Congratulations to Cedric, David, Tyler, and Heath on amazing performances at the Atlanta Open, IBJJF tournament! 2 Bronze and a Silver for GMMA! 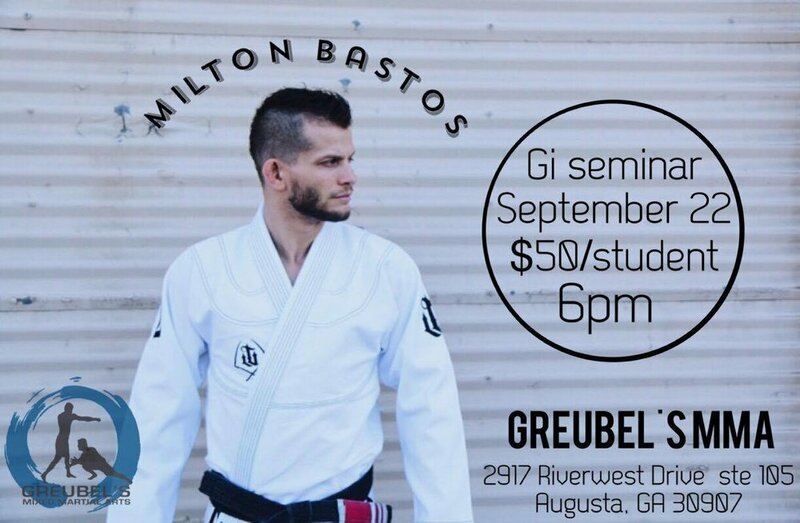 Train with 7 TIME WORLD CHAMPION, Milton Bastos FRIDAY Sept. 22 6 PM @ Greubel's MMA! 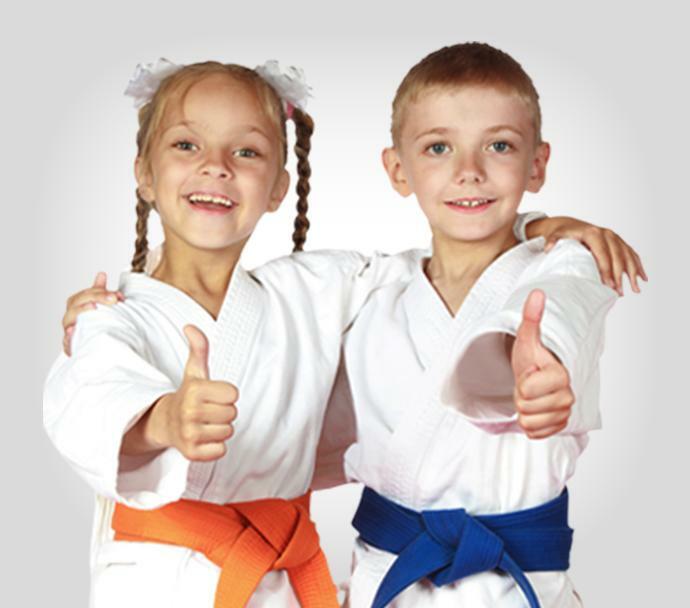 Pick up, tutoring, Martial arts! Great job by Syndey Hall winning GOLD at the Charlotte open, and professor Ale' Nogueira winning silver in the Masters black belt division! Fantastic performances by Cedric and Tyler. Nicholas Torrance made his return to MMA at the Electric Cowboy in Kennesaw, GA. on June 30, 2017 in DEVASTATING fashion! KO by UPPERCUT in 12 seconds of round 1. Greubel's MMA gets new transport vehicle for fight team and summercamp kids!!! I am super excited for you to to meet the newest member of our team, Alexandre Nogueira, of São Paulo, BRAZIL! Alexandre is your new Brazilian Jiu-Jitsu coach! On May 6th, 2017, Brandon BIG BEAR Spencer, defeated Myree Coleman to win his second pro title in one year. After losing 7 fights in a row, Spencer decided to let Mark Greubel train him. In the last year he has knocked out 4 of his 6 opponents and has won the ABA regional and U.S titles! Great job Brandon! We are proud of you! 6 reasons to add more RAW fruits and veggies into your diet. Get more comfortable being stacked, the best stretch. (courtesy of Chris Moriarty). Claim Your Free Week of Training!